The size of the church does play a significant role. The larger the church becomes, the more difficult it is to be close to the senior pastor. This is logical and understandable. In this case, the more important things like ministry program excellence become. But, the things of the heart never fade from importance. People don’t leave a church because a particular ministry was less than perfect. After all, that person could stay and help make that ministry better. Further, a reasonable person doesn’t leave a church because they don’t get their way. But they will leave if they don’t intuitively connect at a heart level with the pastor or a key leader in the church. Again, let’s talk size of the church for a moment. In a smaller church, that heart connection happens in some way at a personal level. In larger (and huge) churches, that heart level connect happens more because the pastor’s communication gifts and skills are so strong he or she can communicate that authentic love from the platform. Also, other leaders in those very large churches help make that needed and wanted personal touch with the people. No matter what the size, style or culture of the church, the heart wants what it wants. People want to know that their pastor loves and follows Jesus. As a spiritual leader, your faith must be real. That doesn’t mean your faith isn’t occasionally flawed or that you never have a spiritual doubt. In fact, a spiritual doubt during a difficult time is part of authentic faith. No one is willing to follow a spiritual leader who hasn’t walked a few difficult roads themselves. Authentic faith reveals that you trust God both in the good times and in the difficult seasons of life and ministry. Jesus modeled love better than anyone, and He is our example. People want to know that their pastor loves and cares about them. They want to know he or she has compassion for those who are hurting and patience for those who struggle. 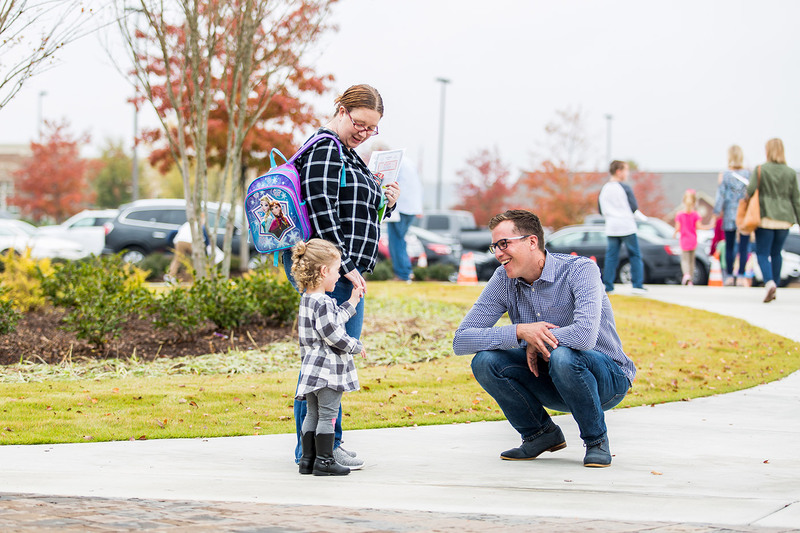 As I reflect on my years at 12Stone Church, it’s obvious to me that our senior pastor Kevin Myers loves the people. For 30 years he’s laid his all on the line and sacrificed for the good of the people. Grace and love are certainly connected, but here’s how I would differentiate. Love is what you give to the people. Grace is the spirit by which you lead the people. I’ll be candid with you, I’ve met some pastors who are tough on people. They love the people, but they can be hard on them. High expectations are good, but not if that turns into a demanding relationship. There is little that is more powerful than that between a pastor and the people. When I think about my kids, there is nothing they can do that will prevent me from loving them. I might be disappointed, or feel a need to correct or challenge them, but grace keeps my heart tender. As a pastor I have received so much grace from God and others, I can’t help but extend it freely to those I love and serve. Trust may be difficult to define, but we all know what it means. You know if you trust someone or don’t. You might not be able to say why, but you know. When you encounter an auto mechanic, a doctor, or an insurance broker, you know if you trust them. The same is true with a spiritual leader, the profession, or trade. It doesn’t matter. This matter of trust, particularly about personal character or integrity, is essential. The life of a spiritual leader must be lived with openness and transparency that allows people to know and trust them. The good news is that trustworthiness is not based on talent or ability. The realities of everyday life are weighty and can be discouraging. A leader who is filled with hope for a better future captures the hearts of people. A pastor with a positive spirit and joyful attitude will always out lead a more talented but sour-spirited leader. When the hope-filled heart of a leader is combined with a clear vision and direction, the results are healthy and highly productive. If you are the pastor, (or a key leader), this doesn’t mean you must have all the answers. It doesn’t mean everything always works or goes smoothly. It does mean, however, that as you get up every day, you see hope for the future rather than doom and gloom, and that God will help you find a way.